Description: Anna Pigeon fled the turmoil of New York to become a national park ranger, only to discover she hasn’t escaped murder and violence. When a colleague is killed, claw marks on the victim’s throat and paw prints around the body are too perfect to be those of an alleged killer mountain lion. 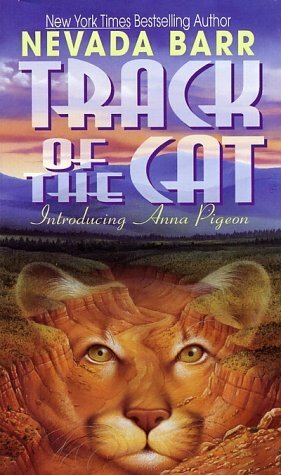 This is book 1 in the Anna Pigeon series of mystery novels, a series of novels based around crime in the National Parks. I loved this book. It’s a dyed in the bones, good old fashioned mystery novel. It’s subgenre is somewhere in-between a cozy mystery, noir and traditional thriller novel. The book was cozy-ish because the main character isn’t a traditional police investigator (Anna Pigeon is a park ranger), noir because Anna Pigeon is an Iron Lady thanks to a tough life, and thriller because of the thrilling plot. The setting was great. It reminded me of Tony Hillerman’s Navajo mystery novels due to it’s desert Southwestern setting. I liked the natural setting because it’s so unusual when compared to standard modern-day mystery novels. I liked the plot. Long story short, the park ranger uses park ranger skills to sleuth out the murderer. It was refreshingly new and exciting. I like quirky mystery novels, and this is quirky in a good way. The characters are strong. Good cozy mysteries have a strong cast of supporting characters, both to provide emotional depth but to also give the potential villains strong characterization. This book had that. The strong characterization of side characters gives the red herrings all the more believability. This book was published in 1993, so it has a few retro elements I thought were funny. It could almost have happened today, except for the surplus payphones and the lack of personal computers. Go into this expecting something written a generation ago.